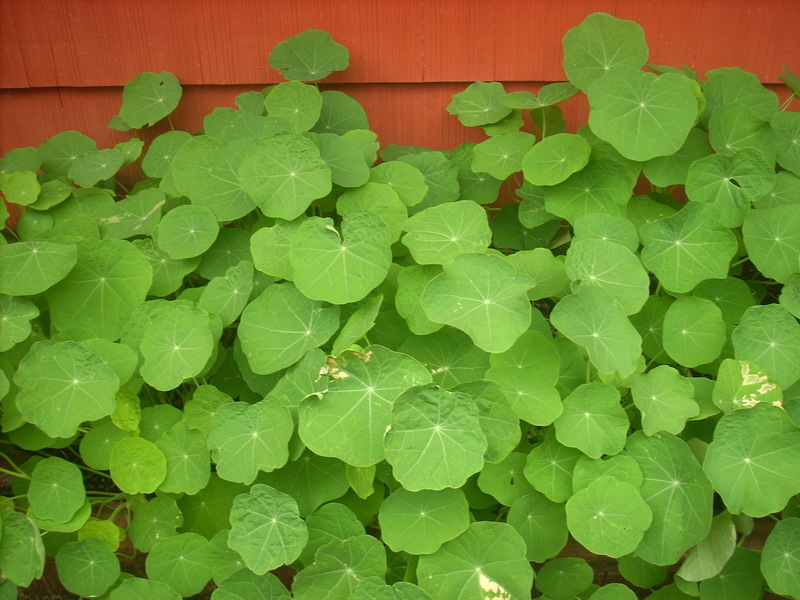 The nasturtiums finished their season this past week. They might have lasted longer, but the incessant heat against the pavement surrounding their planter fried their blossoms. They crumpled like balloons in a volley of darts—leaves, petals, and stems sagging into a lifeless lump on the ground. As I gathered their remains and stuffed the foliage into a garbage can, I noticed little pods falling into the dirt, seeds seeking refuge in an ongoing cycle of regeneration, a tiny being determined to live again. I’d seen this phenomenon in other things. The fuchsia I wintered over from last summer sported a big clump of minion bells in its basket this year. No doubt the two hanging pots were close enough last season to share seed which germinated when warm weather called the fuchsia from its dormancy. It’s as if the minion bells knew the fuchsia would be granted favor over an annual and sought to sustain their life in the shadow of the fuchsia’s dominance. Lending support in a time of vulnerability is the task of the Christian. Caught in the hardships of life, many seek courage from a person who adheres to a higher power. Christians have found answers to their dilemmas and purpose through their faith in Jesus, the Son of God. They provide a source of light to those mired in this world’s darkness, confused by troubling times, or afraid for their lives and the futures of their children. Like the minion bells seeking refuge in the fuchsia basket, or the nasturtiums hiding in the soil ready to grow, so the weary among us need a helping hand from those who find their strength in a living God. Who is waiting to find protection in your shadow, to know what you know? Who needs to be given the hope God’s word offers to those willing to listen? God’s love poured out through the blood of Jesus is for everyone.